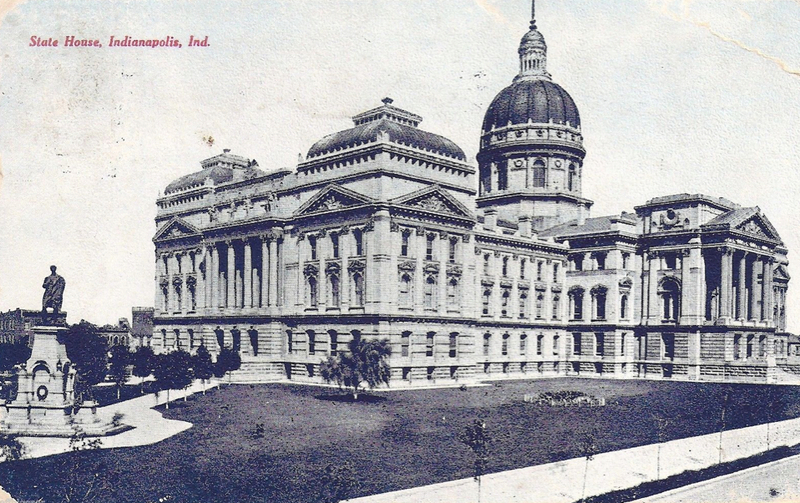 This real photographic postcard features the Broad Ripple Masonic Temple on Guilford Avenue in 1908. 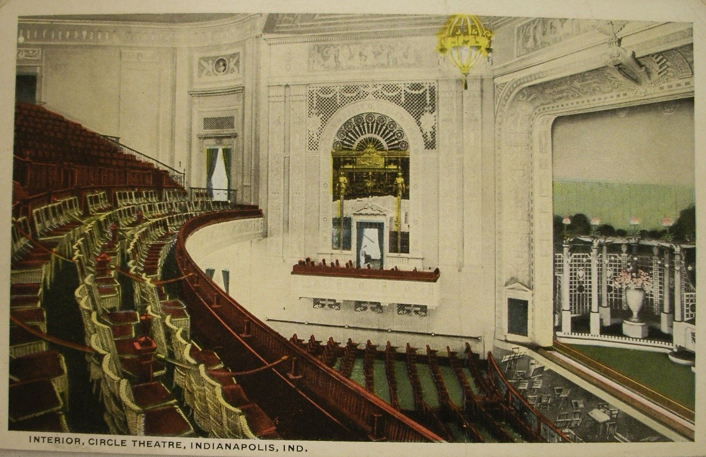 Postcard courtesy of Tom Keesling, Hoosier Recollections. 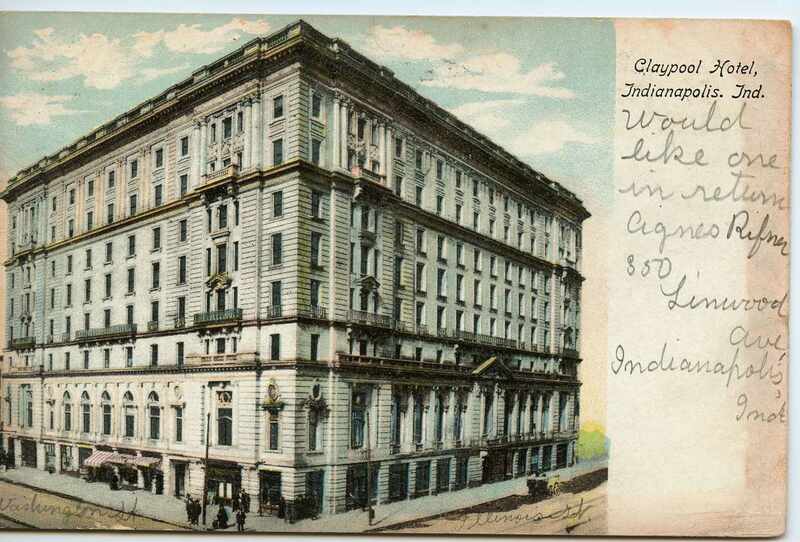 This Penny Post, sent from a young Indianapolitan on skates, features the newly constructed, soon-to-be dedicated “Masons Hall” and bespeaks of daily life of the city’s youngest residents. For 86 years, Mustard Hall was home to the Broad Ripple Freemasons’ monthly Friday night meetings, community banquets, and shelter from White River flood waters. 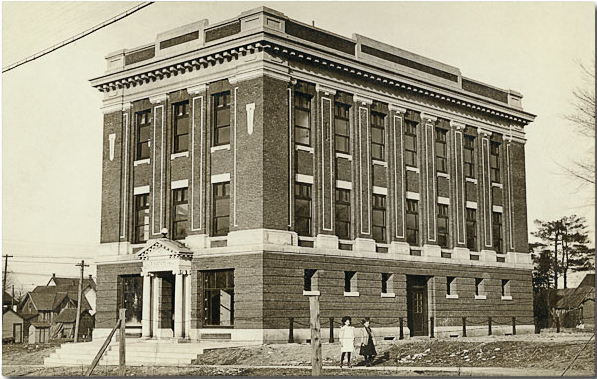 Dedicated June 19, 1908, the stone building at the intersection of Broad Ripple Avenue and Guilford was built with $25,000 from the Jacob S. Mustard family. Dear Mollie as I have never sent you a post card I will send you one. This is Kathryn & I in this picture & the building is the Masons Hall. I had my tooth pulled last night. Dr. Morgan pulled it. Mr. Smith has mooved in the house next door to us. I am at school now writing this. 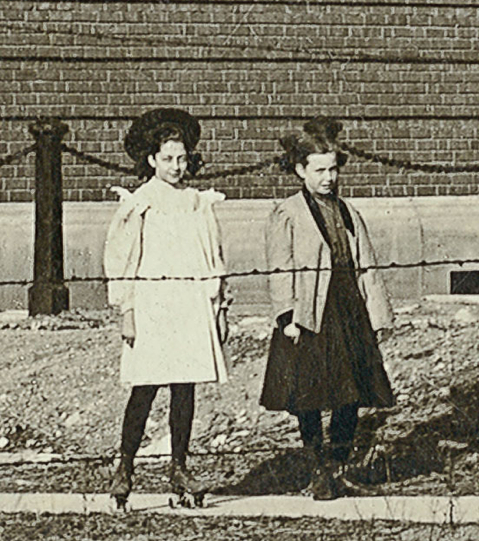 Postcard author, Nera (on the left, wearing roller skates) and her friend, Kathryn in front of the recently opened Masonic Hall in 1908. 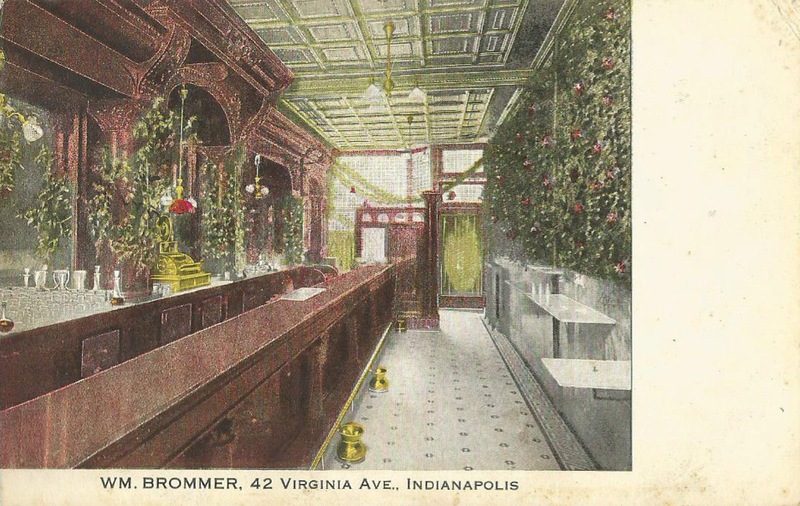 Image courtesy of Tom Keesling, Hoosier Recollections. The Masons sold the building at 6235 Guilford Avenue in the 1990s. Today, the former Masonic Lodge is a privately owned building that most recently housed Tru Nightclub and Buffalo Wild Wings. In 1994, the current Broad Ripple Masonic Lodge opened at 1716 Broad Ripple Avenue. 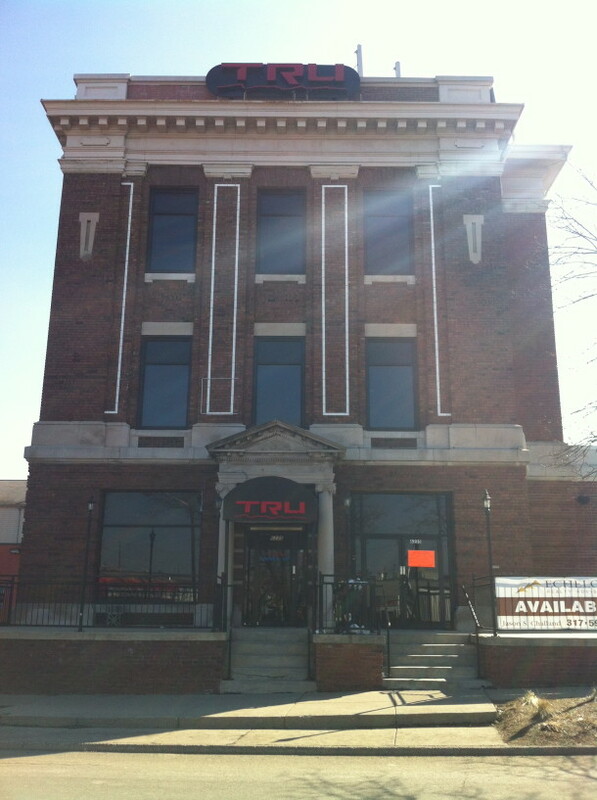 Until recently, the former Masonic Lodge was home to Buffalo Wild Wings and Tru Nightclub. 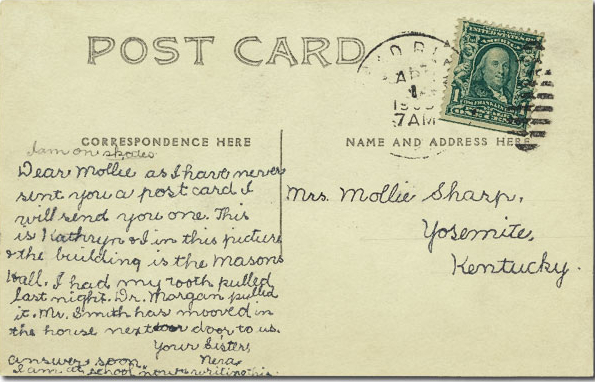 A penny for your thoughts … When Nera wrote to her sister in 1908, Wonderland Amusement Park, White City Amusement Park, and Riverside Amusement Park were entertaining Indianapolis’ residents. Which park’s skating rink do you think the girls frequented? Interested in learning more about Master Mason Jacob S. Mustard and his wife, Cassandra? Read Sharon Butsch Freeland’s HI Mailbag: Mustard Family Properties in Washington Township. Went there as a “kid” when my parents were active in the F&AM and Eastern Star. A friend had my accompany him once when it was Eden’s Nightclub. Loved the Buffalo Wild Wings too! From the looks of Nera’s skates….they skated on the sidewalks. They had the clamp style with a skate key. would required shoe skates with decent wheels w/ball bearings. They sure look like they are having fun!